Botta Engineering srl was set up in 1948. The company is specialised in the production of furnaces for the processing and treatment of aluminium and of its alloys. Thanks to a constant and technological innovation our company is constantly expanding. Our range of products allows us to supply both small and large companies. During the last few years we have been producing furnaces for the most important car wheel manufacturers, that means we have attained a high quality and reliability standard. Today we can carry out more and more modern and efficient projects. Cad design, construction, assembly, inspection and test, spare parts stock and after sales servicing are the strong points of our company that has always been considering the customers’ need and problems as the focus of its own interests. 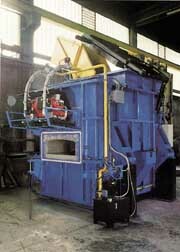 Holding furnaces, tank or crucible, electric or combustion. Melting furnaces, tank, dry hearth, tower, rotary, fixed or tilting. 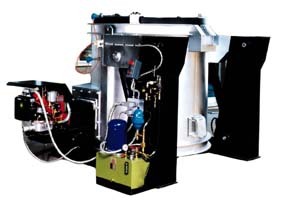 Heat – treatment furnaces, core drying oven, annealing and tempering, electric or combustion. Ladles for aluminium pouring and electric ladles for liquid metal transport. Electric system for continuous filter metal. Vertical and horizontal loading system. Combustion system for ladle reheating.